Over the past few years, there’s been a massive surge in the crypto market, with growing awareness among traders and investors and a rise in new and innovative projects. Hundreds of thousands of people from across the globe are looking at the crypto market to generate impressive returns; and millions of coins are in circulation. Crypto exchanges are unable to cope with this massive influx of people and coins. Their overburdened platforms become increasingly vulnerable to hacking attacks and pose operational issues like slow order execution, difficulties in registering new users or delayed account upgrades. Some are losing their competitive edge against the backdrop of changing market conditions.Traders are already contending with a highly volatile crypto market. Their enthusiasm and profit-making potential are dampened by the vagaries of the crypto exchanges. High trading fees, delays in order execution, unstable security systems, low withdrawal limits and restrictions on the fiat currency supported, are some of the impediments faced by traders and investors. Quifas, a crypto exchange with a difference, aims to eliminate these issues, so that people can trade crypto assets with complete peace of mind. This secure and innovative crypto exchange puts people in the forefront. It will be built with a user-friendly interface and exceptional customer support. 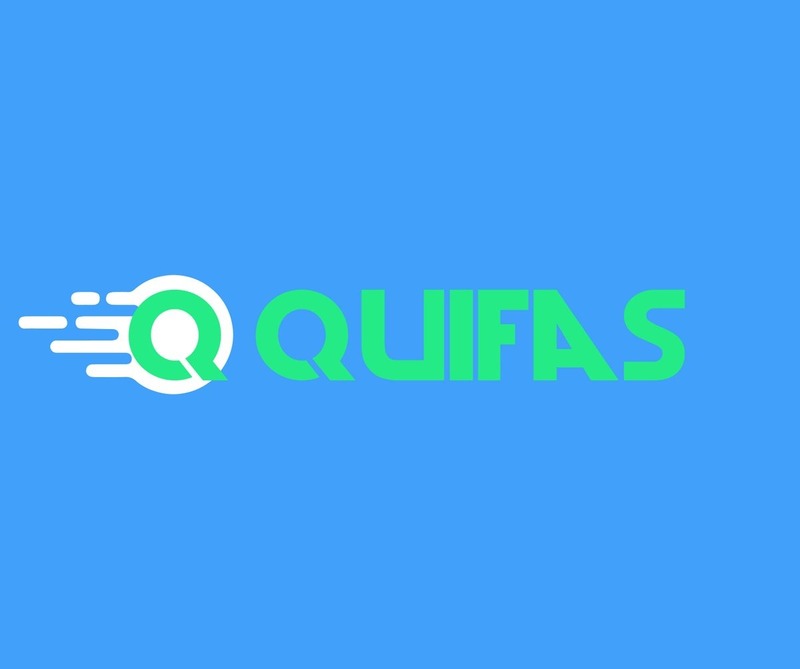 The Quifas Tokens (QFS) – The tokens issued by Quifas Exchange will have a maximum supply of 200 million. The Quifas token is an ERC 20 token issued on the Ethereum Blockchain and will be supported by all Ethereum wallets. Zero Trading Fee for all Purchases with QFS Tokens For Life Token holders will be able to use Quifas token (QFS) to buy other crypto asset such as Ethereum, Bitcoin, Ripple, etc on the Quifas exchange with ZERO TRADING FEES FOR LIFE. For example: Purchase of 1 ETH using QFS tokens will incur ZERO TRADING FEES. Purchase of 1 BTC using QFS tokens will incur ZERO TRADING FEES. Advanced Trading Features: One of the most competitive features of the Quifas platform is the ability to place stop loss and take profit on orders at the same time. Another feature is Auto Stop Loss, which allows users to extract the maximum potential profits after a take profit level has been reached. Florian Boci: At the helm, there’s Florian Boci. As CEO, Florian brings years of experience and expertise to the table. Florian is what you would call a “serial entrepreneur,” with more than 10 years of experience in the finance and accounting industry.Florian completed his Bachelor of Science Degree from George Mason University, specializing in Accounting and Management Information Systems. Being Virginia’s largest public research university, George Mason University provided Florian with just the right environment to hone his skills and network with some of the most brilliant minds in the world. George Mason University, an entrepreneurial institution with national distinction in academics and research, attracts 34,000 students from across all 50 states and 130 countries.Florian began his career as a consultant at Integral Financial Group (IFG), a specialty professional services firm that focused on providing quality solutions to clients and forming partnerships with customers. 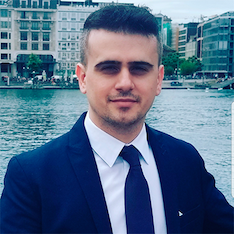 He then worked for more than 8 years as a consultant at NOVAD Management Consulting, Inc, which placed a huge emphasis on meeting goals within budgets and tight timelines.At a young age, Florian became the CFO of Neveah Limited, an international commodity trading company. He has also worked with the US Department of Housing and Urban Development (HUD) for more than five years and has assisted in the funding of more than 7,200 public housing projects. Florian is an active crypto enthusiast and investor. Ibidapo Lawal: As COO at Quifas, Ibidapo Lawal is a force to reckon with. He, too, is a serial entrepreneur, having founded three companies and built two to be leaders in their respective sectors.Ibidapo has a Master of Business Administration from Drexel University, which is committed to inspiring the entrepreneurial spirit and is attended by some of the country’s most ambitious students. 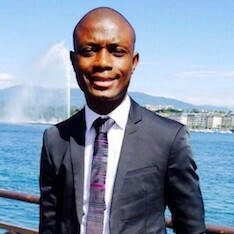 Ibidapo went onto taking an executive education class at the Wharton Business School, which focuses on formulating powerful business strategies and making data-driven business decisions.While still a student, Ibidapo founded IAL Resources to address the growing need for online payment solutions in Nigeria.For six years, Ibidapo founded Activo Global Investments Limited and spearheaded the firm’s products development based on market demand and added contract facilitation and contract execution to original consulting and training services. He played a key role in designing the marketing strategy and improving public relations; and successfully raised capital for the firm’s expansion.Ibidapo is an international commodities trader with over 10 years of experience in deal making across the globe from North America to Asia. He is also an active cryptocurrency trader and investor. Akinbiyi Akindoyin, PhD: As CTO at Quifas, Akinbiyi Akindoyin brings key knowledge and expertise to the table.After completing a Diploma in Mobile Communications and Networking from UTL Technologies in Bangalore, India, Akinbiyi went onto earning a Master of Science from the University of Leeds, listed among the top ten universities for research power in the UK. Here, he specialized in Broadband Wireless and Optical Communications and graduated with a Distinction.Akinbiyi’s thirst for knowledge led him to earn a PhD in Communications and Signal Processing from Imperial College London. 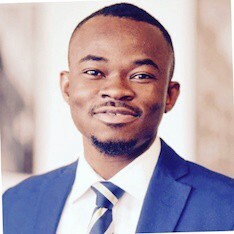 He has worked at some of the world’s most prestigious companies, including JP Morgan and PwC.Akinbiyi has over four years’ experience in designing and implementing highly scalable data communication networks and has earned top industry recognized certifications including CCIE (data centre), AWS certified solution architect and Implementing Microsoft Azure Solutions. Warun Bubna: As CMO at Quifas, Warun Bubna has a lot to offer.Warun simultaneously completed a Master’s Degree in Business Analytics and a Master of Business Administration, specializing in Finance, both from Drexel University.Warun has worked with renowned companies in the field of finance, including New Penn Financial, LLC and CMG Financial. 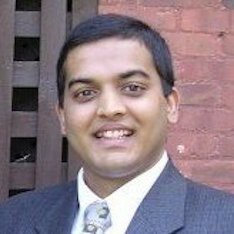 He has extensive experience in operations leadership and has been recognized for excellence in process improvement and project management.Warun has been involved in team-building and played an integral part of the Enterprise Execution team in managing multiple corporate projects simultaneously while playing the role of lead administrator in service desk and project management software system. The success of Quifas rests on strong shoulders. Join forces with this amazing team by participating in the Quifas Token Sale, staring March 9. Priced at just $0.40, QFS offers a unique opportunity to become a part of an innovative crypto exchange with a team that is committed to providing exceptional customer service.